Everyone loves Martin Luther King Jr. He has been and will always be remembered as the man who gave his life to fight for freedom and equality for black people in this country. However, people looking back on his life often focus on his nonviolent protests and his “I Have a Dream” speech, but King was so much more than that. 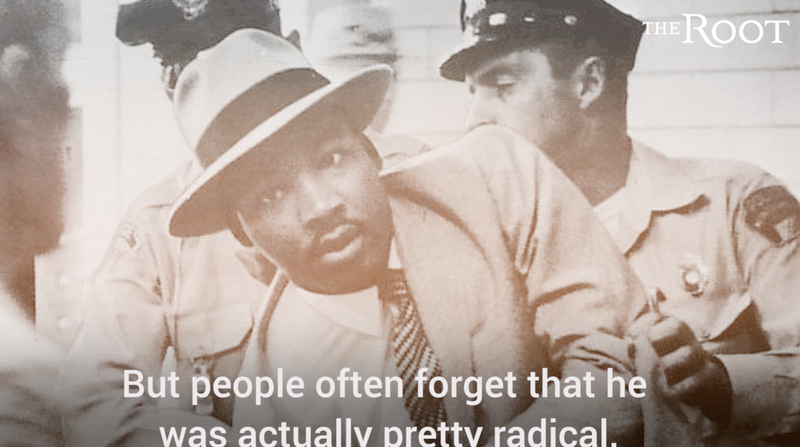 Many forget that MLK was actually pretty radical. And a lot of his beliefs align with what #BlackLivesMatter is fighting for today, despite attempts to whitewash him and pit his legacy against the efforts of BLM today. The life work of King and other civil rights activists set the framework for protest and action against injustice. His work is far from over and lives on through organizations like Black Lives Matter.